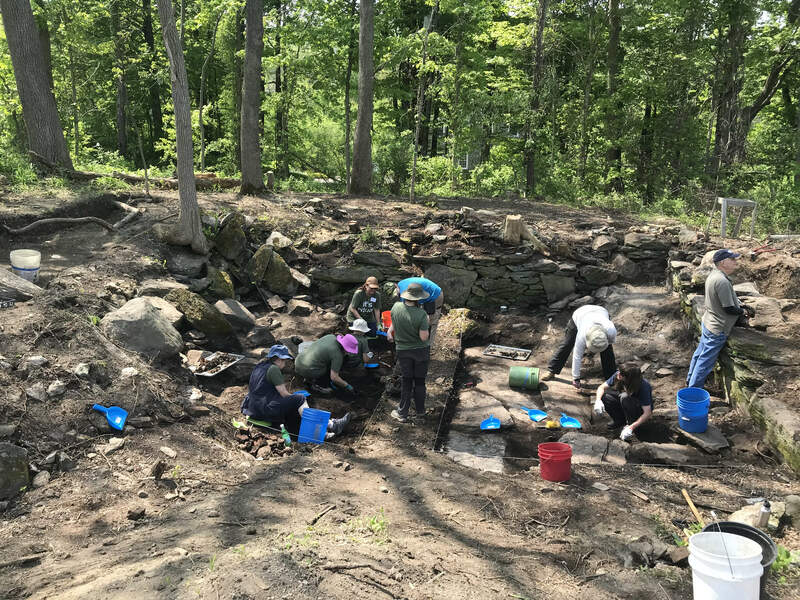 Sacred Heart University Occupational Therapy graduate students Tori Greeley, Bianca Timpano, Anna Lubas, Radha Desai, Sean Mooney, Kevin Maloney, Dylan Lagiglia, Mia DiMeglio, and Allison Weiner and two OT faculty members will travel to Saratoga, New York from May 27-31, 2019 to participate in a four day archaeological dig with military veterans. Supervised by two occupational therapy faculty members and coordinated in partnership with the American Veterans Archaeological Recovery (AVAR), a veteran-run charity, this clinical trip will provide OT students with hands on learning experience and provide therapeutic services for military veterans with emotional and physical challenges. The OT students participating in this transformative service learning experience are volunteering their time, but also must fund their own travel expenses. The total out of pocket cost for the group is $3,000. Every dollar donated through this campaign will directly offset the travel expenses and equipment for these students. Should the campaign exceed goal, all funds will be held in reserve for a future OT service learning project. We hope that alumni, family, and friends will consider supporting this dedicated group of SHU Occupational Therapy students and allow them to make a difference in the lives of these veterans. Founded in 2000, Sacred Heart University’s Graduate Occupational Therapy Program was the first in Connecticut to meet the Accreditation Council of Occupational Therapy Education’s (ACOTE) requirement that all entry-level occupational therapy education programs award a post baccalaureate degree. The occupational therapy program is housed within the College of Health Professions along with physical therapy, speech-language pathology, athletic training, exercise science, healthcare informatics, and physician assistant studies graduate programs. Sacred Heart University is Connecticut’s only university that offers educational programs in occupational therapy, physical therapy, and speech-language pathology; the three core rehabilitation professions considered critical to restoration of patient’s functioning. Occupational Therapy participates with the other College of Health Profession’s programs and the College of Nursing to provide students with distinctive interprofessional learning opportunities that replicate the treatment team. Helps provide one kneeling pad for a veteran. Help provide one back support for a veteran. Helps provide two sets of work gloves for veterans. Highlighting the 172 mile trip from the Sacred Heart campus to the dig site. Funds the full out-of-pocket costs for the SHU OT graduate students travel to Saratoga, NY.